If you’re looking at the best bows for 2017, the choices can seem endless. 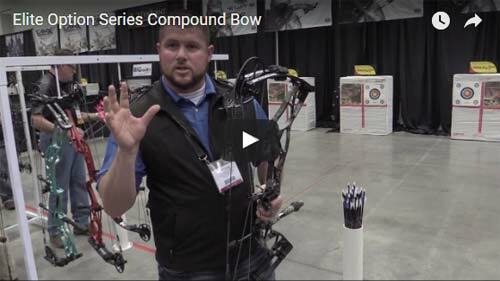 These days, most manufactures are really improving their bow lineups by not only delivering more efficient products, but also by delivering speeds that weren’t imaginable in the past. Which bow is the best bow for 2017? Good question; let’s take a look at what we discovered at the ATA Show in Indianapolis, Indiana. 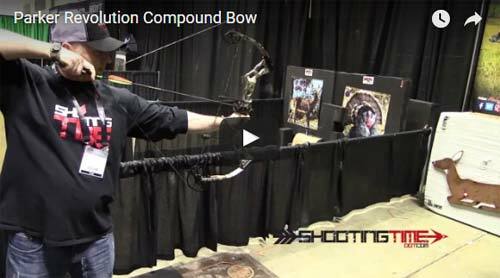 What are the best new compound bows for 2017? We have been asked this question a lot. There is not a right or wrong answer. Every archer has different needs or expectations out of their bows. If you’re in the market for a new bow in 2017, we believe it’s important to not be a brand loyalist and give them all a shot; you may be surprised at what feels right to you. 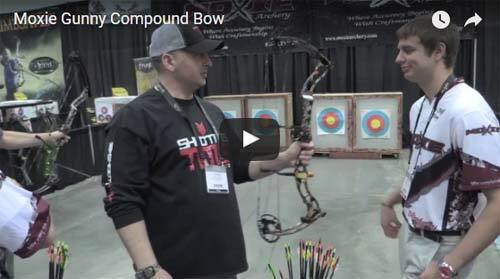 Check out what we saw at the ATA Show 2017 in Indianapolis, Indiana to see what might be the best compound bow of 2017 for you and then try it out for yourself! 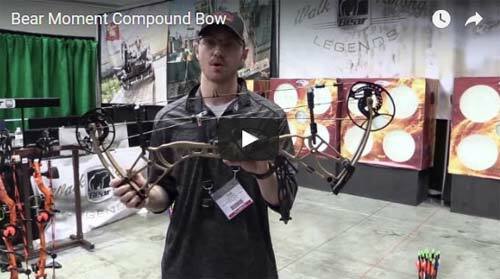 New from Bear Archery this year is the Bear LS6 compound bow. This is Bear’s go to speed bow. 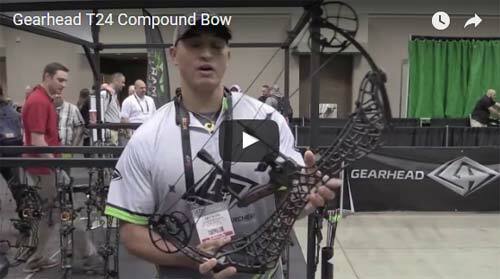 Weighing in at 4.2 lbs, this 32.25 inch axle to axle bow brings in speeds up to 355 FPS. There is a price to pay for the speed though, and that is the 5 inch brace height. Short brace heights demand excellent form so if you have that and like speed, this might be the bow for you. The Bear LST, which has a MSRP of $899.99, looks like it has what it takes to be a solid performer in the competitive archery world. The Bear Moment looks like a good combination of many features of flagship bows of the past, all in one bow. It has the speed (340 FPS), is compact (31 inches axle to axle), offers some forgiveness (brace height of 6 inches), and is tunable (has a top yoke). The difference between the Bear Moment and its competitors is that it is pretty affordable. The MSRP of the Bear Moment is $899.99. For more information, visit http://www.beararchery.com or call (812) 467-1200. The Bowtech BT-Mag is new for 2017 and delivers on speed and forgiveness. Advertised under the slogan “Go Big or Go Home”, the 36″ axle to axle BT-Mag has a 6.75″ brace height and delivers speeds up to 340 FPS. Purely looking at the specs, the BT Mag looks like a great all around bow. It’s forgiving, fast, and can be used for 3D archery and hunting. 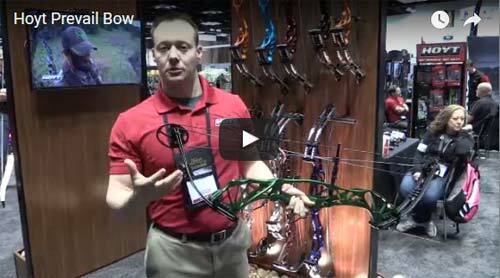 Also new for 2017 is the Bowtech Reign. 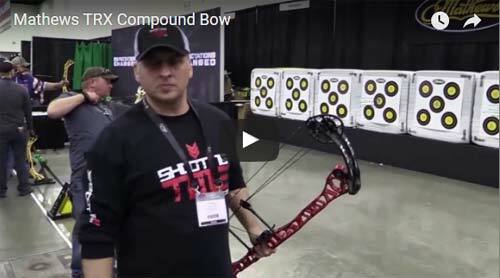 The Reign series compound bows are offered in different brace heights and they should be Bowtech’s best selling bows. Here are the specs of the different models. The specs of both Reign models are respectable and combined with Bowtech’s latest innovations like their Powershift, Micro Sync Dial, and Powerdisc technologies, we think you’ll be definitely getting a quality product. 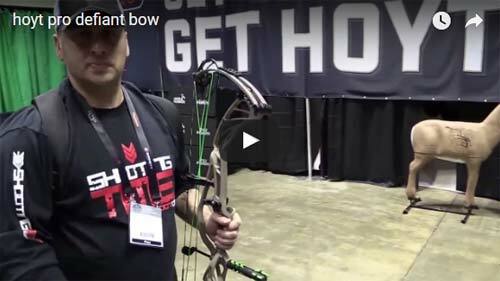 We believe that the Bowtech Reign may be one of the best bows of 2017. 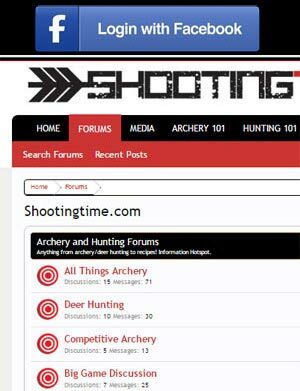 For more information, visit https://bowtecharchery.com or call (877) 901-1934. 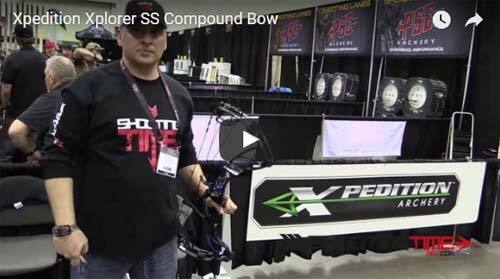 New for 2017 is the Elite Option 6 compound bow. This 32 inch axle to axle bow has a brace height of 6 inches and delivers speeds up to 342 FPS. This flagship bow from Elite features double laminated split limbs for optimal performance and dual riser cages for an extremely rigid frame. Hitting the mark on both speed and forgiveness, the Elite Option 6 should be a popular choice of hunters in 2017. Also new for 2017 is the Elite Revol. This silky smooth 35 inch axle to axle bow has a brace height of 7 inches and delivers speeds up to 333 FPS. The Revol comes with Winner’s Choice BCY-X bowstrings and also utilizes Elite’s double laminated split limbs. This bow should be making many appearances in 3D shoots around the country. For more information visit https://www.elitearchery.com or call (877) 503-5483. New from G5/Prime is the Prime Centergy. The Centergy has an ATA measurement of 33.25″, a brace height of 6.5″, and delivers speeds up to 333 FPS. 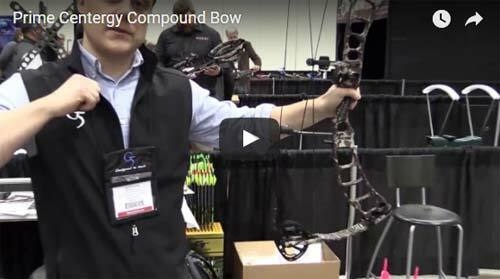 While the specs of the Centergy are very respectable, what’s going to make this bow one of the best sellers of the year is its design. Let’s take a look at the riser. The 82X aluminum riser features two key components that makes this bow hold like a rock. Those components are the Center Balanced Targeting System and the Swerve. The Center Balanced Targeting System puts the Centergy’s grip in the geometric center of the bow. This lowers the center of mass compared to the shooters hand which allows more of a steady hold for extreme accuracy. The Swerve is a curve in the riser that reduces lateral movement in the riser resulting in less vibration and greater consistency in accuracy as well. To understand Prime’s vision, visit their website and watch a few of their videos. While other companies are pushing specs and trying to wow people into buying their bows, Prime is going for what’s important, accuracy. Their innovations with the Centergy has already been proven to increase aim-ability and accuracy up to 45%. We believe that the Prime Centergy may be the best bow 2017. For more information visit http://www.g5prime.com or call (810) 392-8431. New for 2017 is the Gearhead Carbon T24 from Gearhead Archery. This 24.5 inch axle to axle carbon bow has a 7 inch brace height and delivers speeds up to 355 FPS. 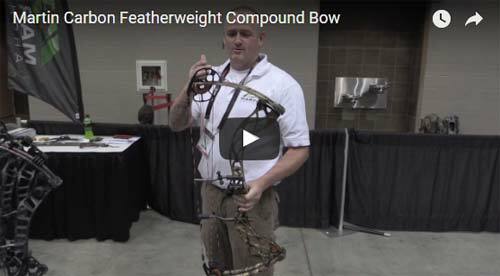 They are a very unique bow due to their double wall riser and short axle to axle measurements. 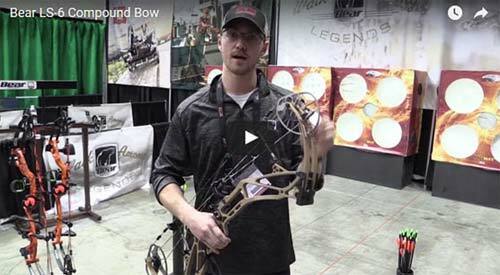 For the guy that loves to spot and stalk or shoot from confined areas, this bow might be an option for you. For more information visit https://www.gearheadarchery.com/ or call (608) 370-8016. New for 2017 is the Prevail lineup which features the Hoyt Prevail 40, Hoyt Prevail 37, and the Hoyt Prevail FX. The Prevail lineup is full of new innovations that will ensure that Hoyt shooters remain some of the most accurate in the competitive archery world. The Hoyt Prevail series bows have a newly designed “shoot through” riser that results in a stiffer build for more stability, consistency and accuracy. The new riser has a new rear stabilizer mounting system. This Hard Lock system incorporates a lockdown bracket that will keep your stabilizer from rotation or coming loose; one less worry at the shooting line. 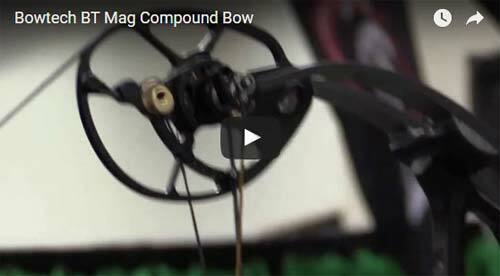 These bows also feature Hoyt’s modular grip system. The modular grip system allows archers to customize their grip to one of four angle settings. To ensure archer’s achieve optimum tuning, Hoyt Archery included an adjustable cable guard system on the Prevail lineup. Choose from 0°, 3°, 6°, or 9° to find your perfect paper tune. The Prevail Series bows also feature your choice of 2 different cam systems. The SVX cam and a half system allows archers a choice of a rock solid back wall or a solid back wall with a little more valley. To adjust this, simple move the draw stop from one hole to another and your done. The SVX cams also come with a full set of draw length modules in half inch increments so you won’t have to worry about placing future orders to achieve the perfect draw length. The X3 cam option offers a smoother draw and like the SVX, it can be modified to change the feel of the back wall. The X3 cam system is adjustable in 1/2 inch increments with it’s stock module. For more information visit http://hoyt.com or call (801) 363-2990. 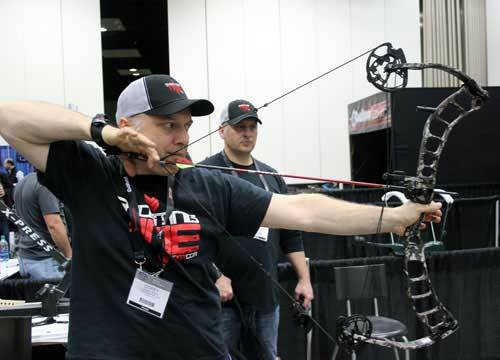 New from Martin Archery is the Marin Carbon Featherweight. The Carbon Featherweight is like the name suggests; it’s light! 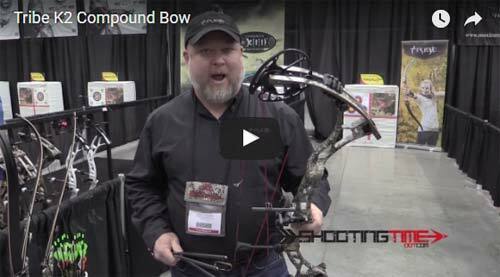 Weighing in at 3.5 lbs, this bow has a brace height of 7 inches, an axle to axle measurement of 30.6 inches and brings in speeds up to 340 FPS. Also new for 2017 is the Martin Firecat. This 33 inch speedster has a brace height of 6.5 inches and brings in speeds up to 348+ FPS. 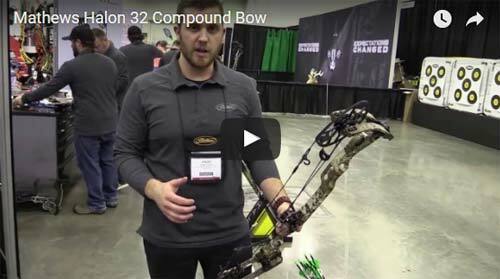 New from Mathews for 2017 is the Mathews Halon 32. The Halon 32 series is offered in three different models. Let’s have a look at them. Also new for 2017 is the Mathews TRX. The 40 inch axle to axle Mathews TRX has a brace height of either 7 or 8 inches and brings in speeds at 332 and 322 FPS. 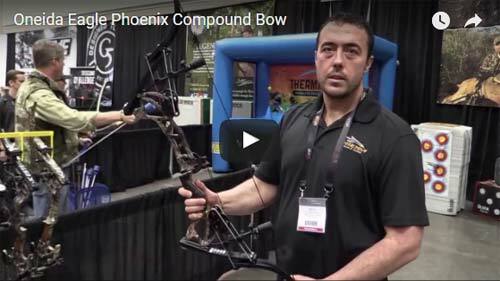 The TRX bows feature a new low stabilizer hole for easier stabilization as well as shorter, wider limbs. The Mathews TRX also features Mathews Archery’s newly designed mini cross-centric cams for a smooth draw and fast speeds. For more information, visit http://www.mathewsinc.com/ or call (608) 269-2728. 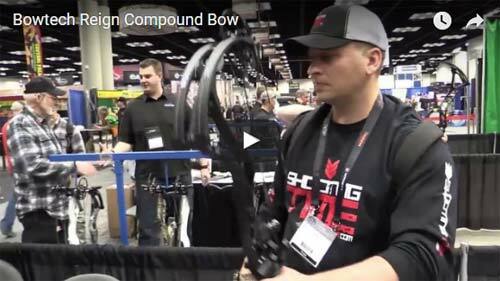 New for 2017 is the Moxie Gunny compound bow. 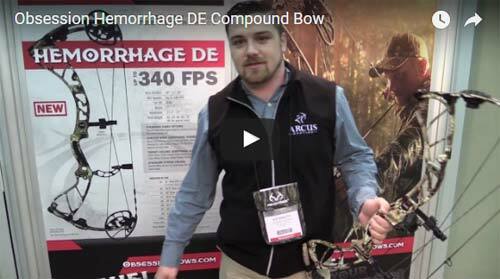 This 30.625″ bow has a brace height of 7.125″ and brings in speeds up to 330 FPS. For more information, visit http://www.moxiearchery.com/ or call (888) 758-9269. New from New Breed Archery is the New Breed Blade. The Blade is offered in two models to accommodate different draw length shooters. The 34.5 inch axle to axle New Breed Blade has a brace height of 6 inches and brings in speeds up to 330 FPS. The draw length range of the Blade is between 22.5 and 28.5 inches. The longer draw version is the New Breed Blade XL. This 34.5 inch axle to axle bow has a brace height of 6.875 inches and reaches speeds up to 330 FPS. The draw length range of the New Breed Blade XL is 28.5 inches to 31 inches. For more information visit http://www.newbreedarchery.com/ or call (888) 363-3545. New for 2017 is the Obsession Hemorrhage DE. The Hemorrhage DE has a compact riser design and features the new DE (dynamic energy) cam. 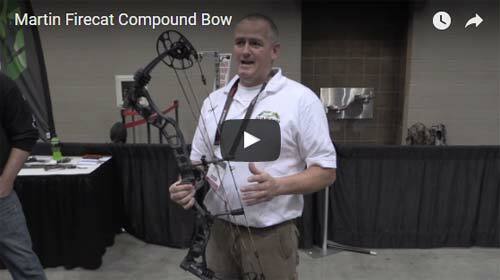 This 30 inch bow has a brace height of 7 inches and brings in speeds up to 340 FPS. For more information, visit http://www.obsessionbows.com/ or call (815) 877-1212. New for 2017 is the Oneida Eagle Phoenix. The Phoenix is Offered in draw weights from 30 – 70 lbs. Depending on the set-up, the Oneida Eagle Phoenix has a brace height ranging from 6 to 7 inches. The string length on these popular bowfishing bows is 41.75 inches. For more information, visit http://www.oneidaeaglebows.com/ or call (417) 873-4596. New for 2017 is the Parker Revolution. Featuring the new Revolution One cam, this 4 lb bow delivers on speed and forgiveness. The 31 inch Parker Revolution has a 7.25 inch brace height and has been clocked at speeds up to 320 FPS. For more information visit http://www.parkerbows.com or call (540) 337-5426. 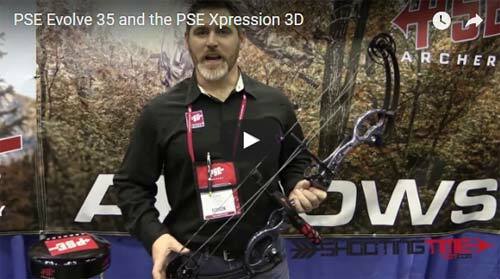 New for 2017 is the PSE Xpression 3D. Utilizing a shoot through riser and Wide-Track Limbs, this target bow is sure to make an impact in the competitive archery world. This 36.5 inch axle to axle bow has a 7 inch brace height and delivers IBO speeds up to 316 FPS. New for 2017 is the PSE Evolve 35. Can you say 90% let off? PSE can with this bow. No worries on being at full draw too long on that big buck now! 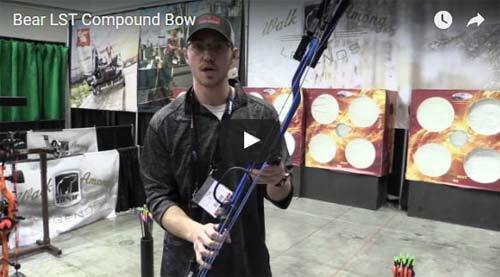 This 35 inch axle to axle bow has a brace height of 6.5″ and delivers speeds up to 332 FPS. The new Evolve cam system on the Evolve 35 really delivers on smoothness and speed! We believe that the PSE Evolve 35 may be one of the best bows of 2017. 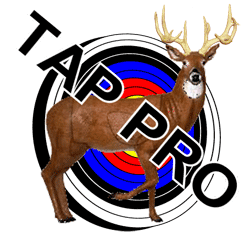 For more information visit http://pse-archery.com/ or call (520) 884-9065. 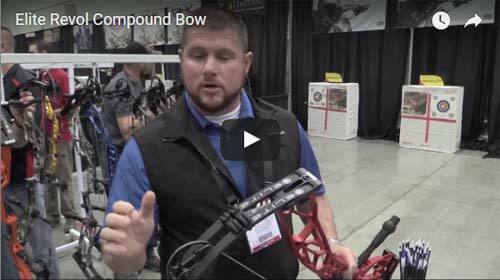 New for 2017 is the Tribe K2 compound bow. The 32 inch axle to axle Tribe K2 has a brace height of 6.5 inches and delivers speeds up to 340 FPS. For more information visit https://tribearchery.com or call (800) 317-9164. New for 2017 is the Xpedition Xplorer SS. This short axle to axle bow (30 inches) produces incredible speeds while offering a smooth draw cycle. This Xplorer SS has a brace height of 6.125″ and brings in speeds up to 355 FPS. For more information visit http://xpeditionarchery.com or call (605) 260-0159. We hope our coverage and videos gave you a good look at what are the best bows available this year from pretty much all the manufacturers. Our suggestion is to go and shoot as many as you can. Each bow has its good points and bad points. There were so many variations in draw cycles and overall feels. Our favorites were the Bowtech Reign, the Prime Centergy, and the PSE Evolve 35. 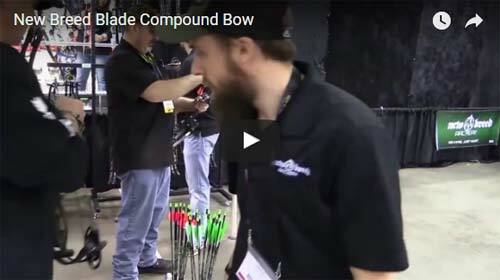 Go and find out what bow is the bow for you! Bows are getting better and better.. I think I might get a Bowtech BT-Mag. It is something which could work for me, I love its looks and speed!